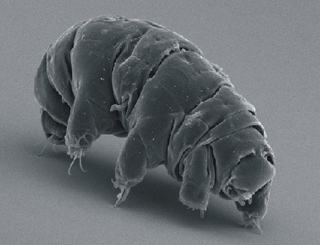 Tardigrades, or “water bears,” are renowned for their remarkable survival skills. But these microscopic creatures are far more indestructible than we thought. In a recent experiment, scientists in Japan successfully revived a tardigrade that had been frozen for more than three decades. Tardigrades are tiny water-dwelling extremophiles that are capable of withstanding some of the most severe environmental conditions, including freezing, total dehydration, radiation, and even the vacuum of space. Much of this has to do with their extraordinary genome, of which nearly 18 per cent is comprised of DNA from other organisms, including plants, fungi, bacteria, and viruses. Prior to the new study by cryobiologists at the National Institute of Polar Research in Tokyo, the world record for reviving a frozen tardigrade was nine years. The specimens were originally collected at Showa Station in Antarctica in November 1983. The researchers were actually collecting moss, but the samples happened to include two tardigrades and an egg. The frozen tardigrades, along with the moss sample, were brought back to Japan where they were stored for 30 years and six months at a temperature of -20 degrees C (-4 degrees F). When frozen, tardigrades enter into a state called cryptobiosis, in which their metabolic activities are shut down or halted for an extended period of time. During this state, an organism shows no visible signs of life. Scientists have documented several different strategies of cryptobiosis in animals, including desiccation (extreme dryness), osmotic pressure (which allows organisms to tolerate shifting variations in the environment, including salinity), oxygen deficiency (animals can slow or halt metabolic processes by slowing down breathing), and of course, freezing. Tardigrades are remarkable in that they employ all these methods. SB-1 first showed slight movement in its 4th pair of legs on the first day after rehydration. This progressed to twisting of the body from day 5 along with movement in its 1st and 2nd pairs of legs, but the movements remained slow. After starting to attempt to lift itself on day 6, SB-1 started to slowly crawl on the agar surface of the culture well on day 9, and started to eat the algal food provided… in the culture plate on day 13. So it basically took two weeks for SB-1 to start moving and eating normally. Incredibly, the revived water bear even managed to lay 19 eggs, of which 14 hatched. No anomalies were detected in the offspring. The new record extends our understanding of this creature’s unique ability to ward off oxidative damage while frozen. SB-1's prolonged recovery suggests these animals need some time to repair the damage that’s accrued during cryptobiosis — in this case, over three decades worth. Looking ahead, the researchers hope to improve their “understanding of mechanisms and conditions underlying the long-term preservation and survival of animals”. By studying tardigrades and other animals capable of cryptobiosis, scientists can learn more about extremophiles and how they’re capable of surviving the harshest of conditions. It’s also of interest to astrobiologists, who speculate about life on other planets or moons. Advances in our understanding of cryobiology could also lead to new medicines, therapies, and surgical techniques. And who knows, it could also lead to new insights in cryonics, the practice of storing deceased individuals in cold storage for eventual “reanimation”. As remarkable as the 30-year record is, it’s not the longest length of time for a frozen organism to be revived. That distinction belongs to a plant-parasitic nematode worm, Tylenchus polyhypnus, that survived after nearly 39 years in a frozen state. Also, second-stage larvae of another nematode, Anguina tritici, were revived after 32 years. Top image: Cutuncus antarcticus, an individual representing the SB-3 strain, showing Chlorella sp. inside its stomach. Scale bar, 100 μm. Via M. Tsujimoto et al., 2015/Cryobiology Magazine. Bottom image Schokraie E, Warnken et al., 2012 /PLoS ONE.